Ofcom has welcomed the Court of Appeal's decision that the judgment of the Competition Appeal Tribunal failed properly to consider Ofcom’s findings that there was ineffective competition in the pay TV market. In 2010, Ofcom forced Sky to offer Sky Sports 1 and 2 at a lower price to other pay TV operators, including BT and Virgin Media, in a process called "Wholesale Must Offer". It facilitated the appearance of Sky Sports 1 and 2 on digital terrestrial television between 2010 and 2013, when BT and Top Up TV were able to benefit from the lower fees. 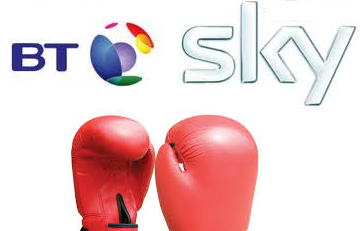 Sky subsequently appealed to Competition Appeal Tribunal (CAT) and won in August 2012. Back then, the Competition Appeal Tribunal (CAT) ruled that Ofcom's concern about the way Sky sold its sports channels on a wholesale basis was "unfounded". BT, in turn, appealed the decision. Today, the Court of Appeal's Lord Justice Aikens said that the CAT failed to properly investigate issues relating to the level of discounts that Sky claimed it gave rival operators on the ratecard price for its main sports channels. Commenting on the verdict, Ofcom said "Ensuring fair and effective competition in the pay TV market has always been Ofcom’s objective. Ofcom’s 2010 decision that Sky must offer premium sports channels to other providers was designed to deliver choice and innovation to consumers through greater competition." Meanwhile, BT is concerned that it still can't offer Sky Sports 1 and 2 via its YouView service. The Guardian reports a BT spokesperson saying: "Sky's refusal to offer access to these channels on reasonable terms causes serious harm to consumers and must be resolved urgently." Sky states that it is going to continue pursuing "all available options" following today's ruling. Sky reportedly wants to control access to BT Sport on its platform directly before it allows BT to offer Sky Sports via YouView. BT currently sells its sports channels directly to Sky satellite viewers through its own systems. BT currently offers Sky Sports 1 and 2 via its Vision+ platform, which is in scope of the original Ofcom "Wholesale Must Offer" ruling in 2010.